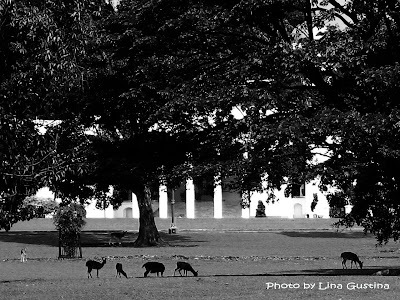 A few of white-spotted deer that live at the huge front yard of Bogor Presidential Palace (Bogor, West Java, Indonesia). In fact, the total amount of those deer are more than two hundreds. The silhouettes are surprisingly Christmassy. I like the scale in this: the deer are dwarfed by the tree and the building in the background, but still look quite at home! Yes, lovely B & W photo with exquisite light and excellent focus. Greetings. Great shot! Good choise for b&w! Great shot. 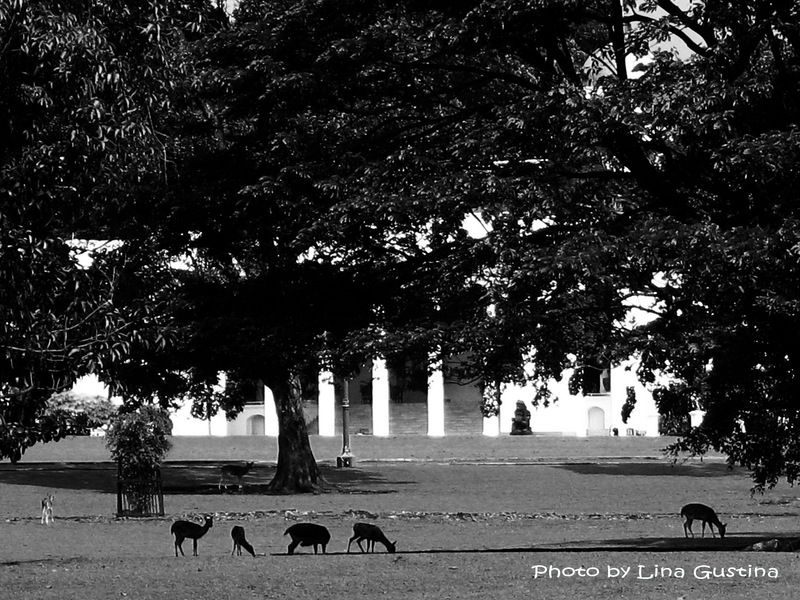 Fun spotting the deer on the Palace grounds. Great shot! Fits wel in black and white! Great shot. It looks like a wonderful place. It is great to have wildlife o close. Isn´t it? Nice shot.